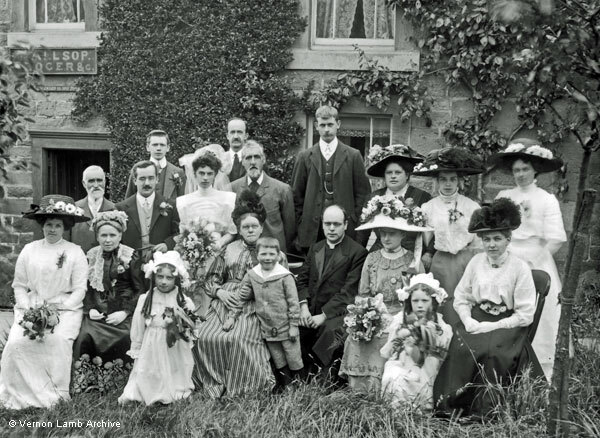 Description/Historical Information: Wedding group outside Allsop, Grocers &c. Rev. William Hadfield Wheeldon is minister. Assume this was the 1912 marriage of James Henry Allsop to Sarah Ellen Dawson at St.Giles [same group as VLA5166].